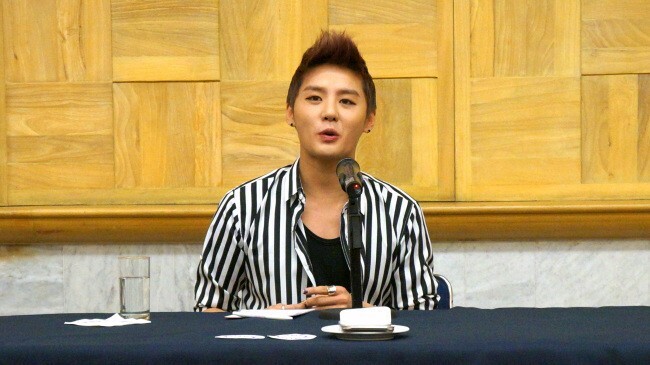 Junsu’s new album was a major success with over 120,000 albums sold. His Asia tour brought in 40,000 fans as well. Junsu was very thankful that he was able to portray his own style and image through this album. After his concert in Mexico, he will continue on to Brazil and Chile. This entry was posted in Acting, ALBUM, Concert, Dramas, INFO, Interview, JYJ, Kim Junsu, Momma's Boys, Momma's Music Favorites, Musical, News, Pictures, Press Conference, Singing, Songwriting, The Arts, Xia's Art and tagged concert, interview, JYJ, Kim Junsu, Mexico, Tarantallegra, World Tour, Xia by chaelwest. Bookmark the permalink.